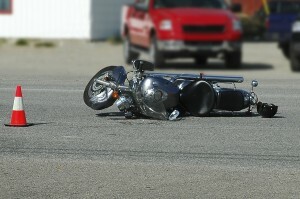 If you are a motorcyclist, you already know that you are more likely than other motorists to be injured in a collision. Wearing a helmet, maintaining your motorcycle, and attending a safety refresher course are always good ideas for motorcyclists, but if another person injures you in a bike accident despite your best safety precautions, you’ll need to speak with an experienced personal injury attorney. In southern California, that attorney is Chris Purcell. Everyone injured by another person’s negligence is entitled to compensation under the law in this state, but motorcyclists who are injured may face some unique obstacles. From his twenty years of legal experience, Riverside motorcycle accident lawyer Chris Purcell knows how to navigate the legal challenges that injured motorcyclists face. WHY DO YOU NEED A LAWYER AFTER A MOTORCYCLE ACCIDENT? Obviously, cars and trucks provide far more in the way of safety than motorcycles do, so motorcyclists and their passengers are likely to suffer the most catastrophic kinds of injuries. Chris Purcell can evaluate the evidence, study the police and medical reports, and give accident victims the frank legal advice they need. If you can prove that you were injured by negligence while motorcycling, Chris can work hard to win the compensation you deserve. He’s been winning for injury victims in southern California for more than two decades. Particularly if you have sustained internal injuries, broken bones, a traumatic brain injury, a spinal injury, or any injury that is temporarily or permanently disabling while riding a motorcycle, Chris Purcell is the attorney you need. He routinely handles cases involving these kinds of injuries, and he frequently relies on the expert testimony of doctors and other medical authorities to prove the claims of his clients. Chris will fight aggressively for the compensation motorcycle accidents victims require to pay for the medical treatment they need. Remember, motorcycles do not provide any protection to the rider, so even if the motorist who caused the accident is uninjured, the motorcyclist could suffer serious injuries. If you have been injured in a motorcycle accident, contact attorney Chris Purcell for a free legal consultation as soon as possible. You may be entitled to compensation for your injuries, and the first step in the legal process is contacting an experienced attorney. Motorcyclists often make impact with the pavement during motorcycle accidents, causing severe brain and spinal cord injuries.Unfortunately, some of these injuries can even be fatal. Motorcyclists can also suffer from road rash, which occurs when skin makes contact with the pavement during an accident. This can occur even when there are layers of clothing between you and the pavement. This is not an all-inclusive list of injuries that can occur after a motorcycle accident. If you have suffered any kind of injury after a motorcycle accident because of someone’s negligence, speak with attorney Chris Purcell at once to discuss your legal options. Although motorcyclists cannot control how other motorists on the roads drive, they can take certain precautions to protect themselves from serious injuries in the event of an accident. California has a universal helmet law, meaning motorcyclists are always required to wear a helmet when they are operating a motorcycle. Despite this law—and research that shows how effective helmets are—many motorcyclists choose to ride without a helmet. This is a big mistake that could cost you greatly if you are involved in an accident. Besides wearing a helmet, motorcyclists should also wear full-length pants, full-fingered gloves, and boots. Any clothing that you wear should fit close to the body. If it fits loosely, it may blow in the wind and become a distraction while you are driving. Motorcyclists should also adopt a regular maintenance schedule for their bikes to make sure they are riding as safely as possible. Motorcyclists need to check their tires, lights and turning signals to ensure other drivers will see you and your bike at all hours. Like every other driver on the road, motorcyclists should never drive while under the influence of alcohol or drugs. Motorcyclists should reduce the number of distractions by putting away cell phones, riding without other passengers and putting music at a low volume. Remember, never ride above your skill level. If you are not comfortable riding a motorcycle on the highway, for example, then don’t push yourself to do it before you are ready. Many accidents occur because the motorcyclist tries to attempt a stunt or test a new skill before they have completely mastered it. Don’t let your pride cloud your judgment. But even if you closely follow these safety tips, you may still get into a motorcycle accident because of someone else’s negligence. If this happens to you and you suffer injuries as a result, don’t hesitate to contact Riverside personal injury lawyer Chris Purcell to discuss the next steps in the legal process. You may be eligible for compensation, but you have to take the first step to contact an attorney. After a motorcycle injury, Chris Purcell can handle your personal injury claim while you focus on recuperating. You may be able to recover all current and future medical expenses, lost wages or lost earning capacity, and all of your other injury-related expenses and damages. Chris represents clients in San Bernardino, Riverside, and across the state in personal injury law cases involving bicycle accidents, pedestrian accidents, dog bites, slip and fall accidents, defective products, premises liability, and construction accidents. He handles claims on a contingency fee basis, so clients pay no attorneys’ fees unless and until Purcell Law recovers a settlement or a verdict on your behalf. Call 714-332-5098 today to schedule a free first meeting with Riverside motorcycle accident lawyer Chris Purcell, or email Purcell Law after any injury caused by negligence in southern California.